Every month Heritage House Dental celebrates your birthday by offering gifts especially for you. If you celebrate your birthday this month, please enter our draw for a chance to win. 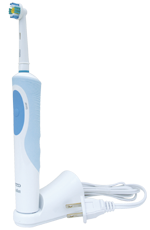 The winner of this month's Birthday Draw will receive an Oral-B power toothbrush. Please fill out and submit the form to participate.